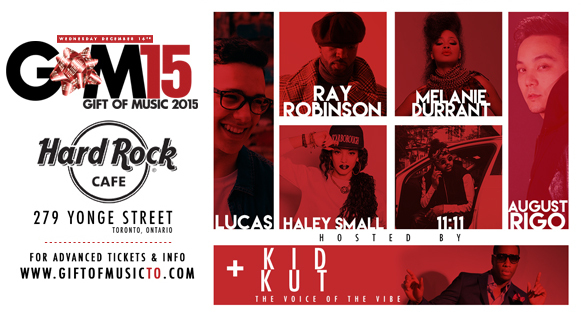 ••• #GOM is brought to you by @kidkut @ivplay & @darlingnicky999 along with our valued promotional and media partners. 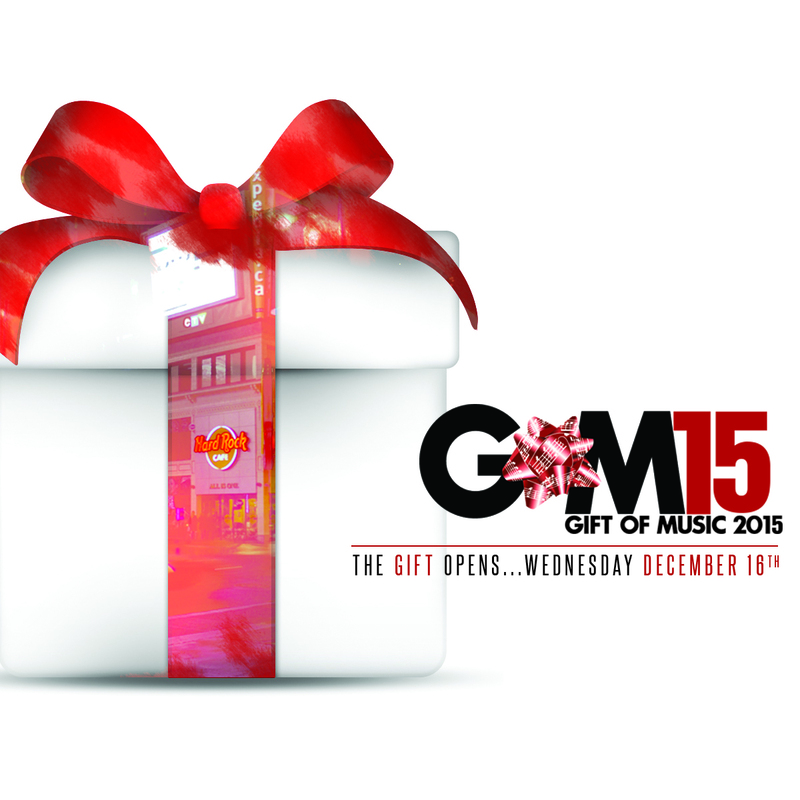 COME OUT AND GIVE THE GIFT OF MUSIC. Prepared by Darling Nicky for CASIO Canada Ltd.
On December 17, 2013 the production team of Kid Kut, IV Play and Darling Nicky successfully presented the 4th Annual Gift of Music event, sponsored for the 2nd time by CASIO Canada Ltd. This annual event benefits MusiCounts (a division of CARAS) to help fund music programs in low-income, rural and First Nation areas across Canada. This year, through ticket sales, raffles and auctions the donation totaled $5,200.00 bringing the four year contribution to just over $20,000.00. Our host and headliner Glenn Lewis did a great job of co-hosting this year’s event alongside event producer Kid Kut with humor and candor with frequent raffle and door prizes. The CASIO Gift of Music 2013 gathered 400 of the city’s top Urban talent, managers, publicists, media personnel including influential bloggers, as well as an engaged crowd of genuine music-lovers. We wish to thank our amazing cast of performers: August Rigo, Ginette Claudette, Aleesia, Regular Rob, Andrea Lewis, Omar Lunan, Rufus John, Lisa Banton with a special performance DJ segment by turntablists Turnstylez for a wonderful evening of music and love. We wish to thank our Product Sponsors for contributing a wide variety of goods which made the raffles and silent auctions a success: M5V Realty Inc, Hard Rock Cafe Toronto, House of Marley, NOKIA Canada, H&M Canada, HP Canada, LeBang, Massive Clearance, Junior Jones Group, G-Shock, Baby G, Universal Music Group, Dwayne Connell Clothing, Two23Events, Lawrence Kerr Photography. We wish to thank our Media Sponsors for assisting us in getting the word out including: CHRY 105.5 FM, G 98.7 FM, and Publicity Support. We wish to thank the supporting musicians and DJs that were the backbone of the evening: The Damion Riley Band, Jester, as well as all the back-up singers and dancers. We wish to offer a major showing of gratitude to CASIO Canada Ltd for their tremendous support in both our shared vision of keeping music alive in Canadian schools through giving “the gift of music”. 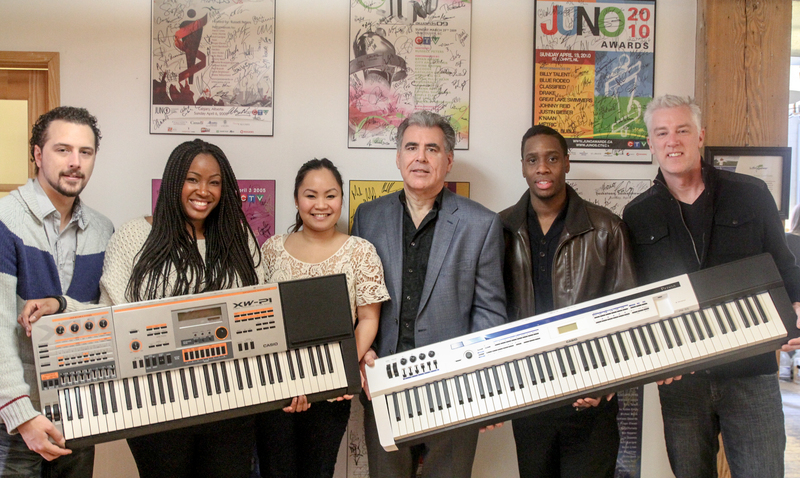 In addition to supplying the backing band with state of the art keyboards for the show, CASIO also donated two studio quality keyboards to MusiCounts to be placed in a school of the highest need. “Arts in education is an important factor in brain development and music training has proven to be a key element in fostering innovative thinking. 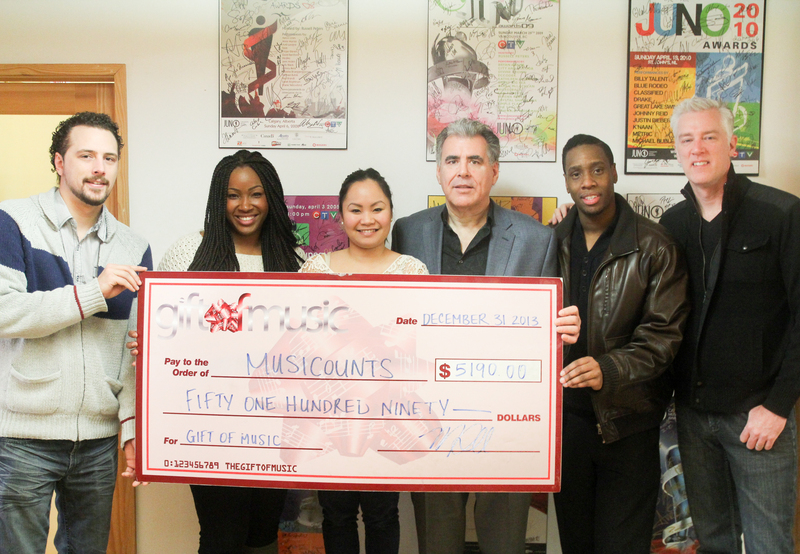 As title sponsor of the annual CASIO Gift of Music we’re extremely proud to be able to partner with MusiCounts in their mission to ensure that all children across Canada have access to a music program through their school, and to support them in their music education initiatives. Our goal at Casio is to make music fun and accessible and by donating quality Casio musical instruments for MusiCounts to award to a needy school, we hope to help inspire the love of music and set the stage for a lifetime of musical appreciation and development.” – Michael Powers, Vice President, Sales and Marketing of Casio Canada Ltd.
As a team, we are humbled each and every year by the overwhelming support given and by the endless sea of talent the city of Toronto has to offer. 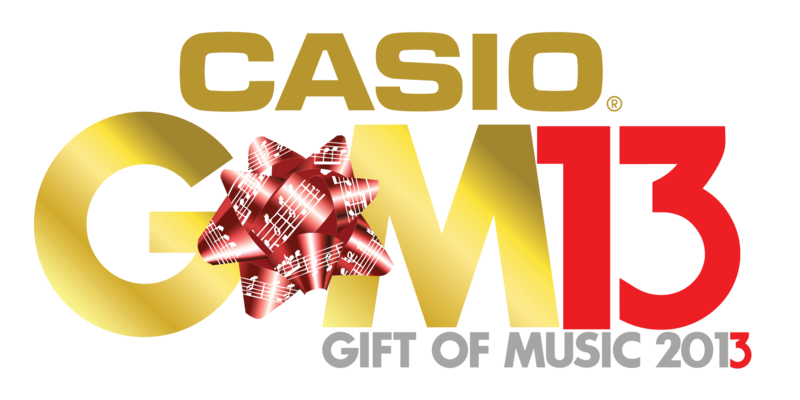 Using the power of the web and social media, the CASIO Gift of music event was promoted to a direct market of over 250,000 Urban Music listeners through the use of artist’s Twitter, Facebook and Instagram accounts. On behalf of the entire team that made the CASIO Gift of Music 2013 such a special evening – we thank you.